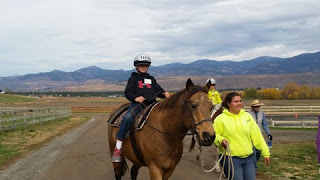 Last winter, we were approached by one of the teachers at the Independent Learning Center (ILC), Sara Mounsey, who told us of one of her students who wanted to become a therapeutic horsemanship instructor. The ILC, an innovative school in Twisp, encourages their students to take on internships with community organizations to gain real world experiences. And so began our time with Janie McMillan, who came to us as a shy teenage intern who hated speaking in public and today is growing into her confident self. She is proving to be a wonderful addition to our team. 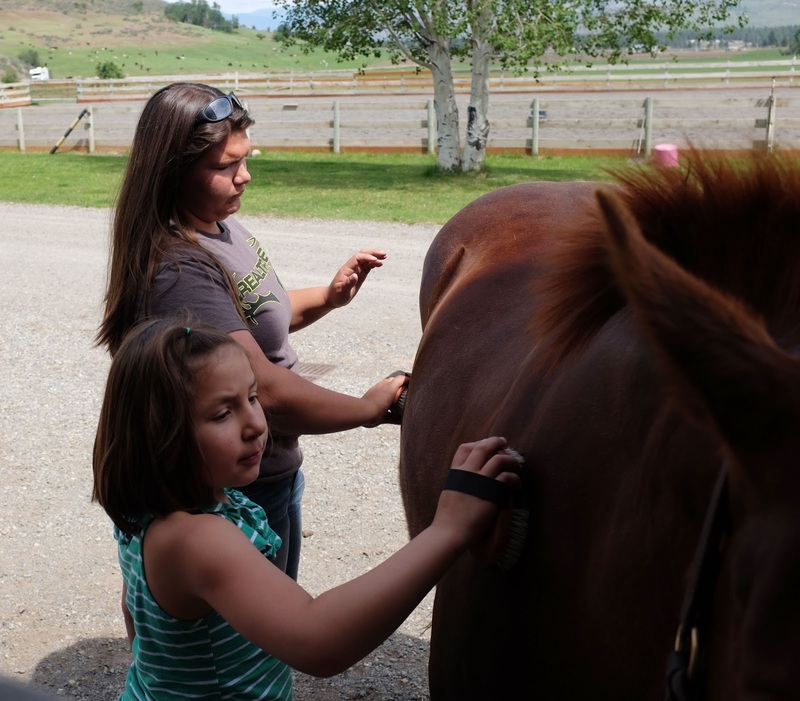 For the last year, Janie has been a steady hand at the ranch, helping us with many aspects of running a horsemanship program for people of all abilities. Janie comes from a large Methow horse family, so her comfort in working with both horses and kids gives her a great start to her journey of becoming a certified therapeutic horsemanship instructor. MVRU: What is a fun or poignant memory you have of her? AB: I remember when we first met, she was giving a presentation for school (ILC) and was beside herself even though the ‘audience’ was only her teacher, her parents, a brother and myself. She was so full of self-consciousness and self-doubt. Now, one and half years later, she is working on being an instructor which is major ‘public speaking’! She is much more confident and willing to just out herself out there! MVRU: In what ways has she helped MVRU? AB: She has helped with a lot! Chores, horse care, and more recently lesson planning and developing resources for our Cub Horse Club. MVRU: What are her best character traits as an intern? AB: She is cheerful, always showing up with a sunny attitude. She is resourceful and a hard worker. MVRU: What is your earliest memory of your time at the ranch? JM: I started at MVRU in March of 2015. I wanted to see how the riding program was run. I have known since I was a child that I wanted to work with horses and children. In January of 2015, my teacher (Sara Mounsey) really started to encourage me to look into the program at the ranch. I met with Annie in February and started in March. Since my first day scooping poo, I have known that it was the right place for me to start my journey of working with horses and kids. MVRU: What is the most important thing you have learned from your time spent at the ranch? JM: The most important thing I have learned is how much hard work is put into teaching people how to ride properly. It takes hard work, dedication, patience, and perseverance. But you will never regret doing it. The skills you learn aid you in your everyday life. MVRU: Who is your favorite horse and why? JM: My favorite horse is Whatnot. He is the first horse I rode at the ranch. He is so patient with me and has helped me learn so much. When I was learning halter work, he was very patient. If was doing something wrong he would help me out by doing what he knew was the right answer. He is so sweet and gentle. 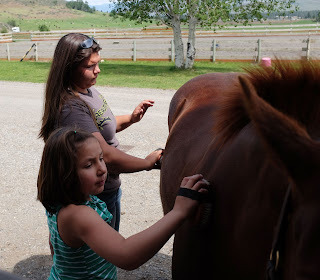 MVRU: What advice would you give to others who are just starting on their path with horses? JM: Learn wherever you can and try new things. Ride a variety of horses and see what you like. Listen to what people have to say, even if you don't take their advice. It never hurts to here what others have to say.